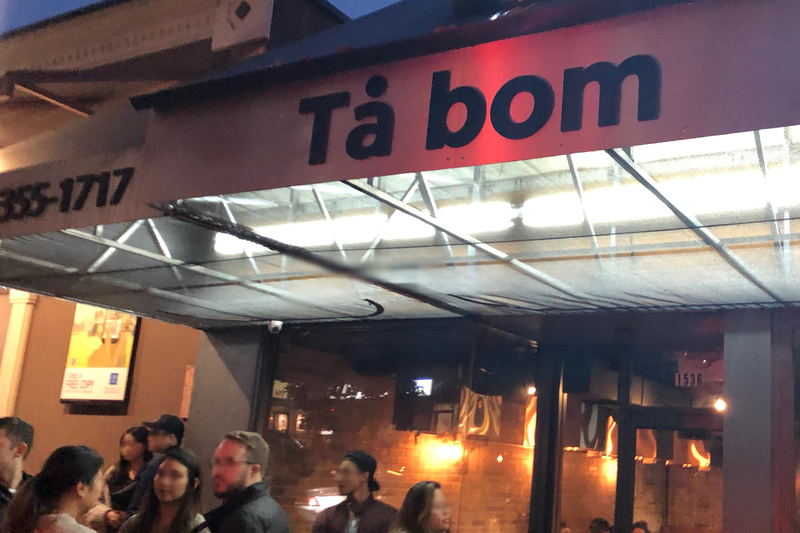 When Ta Bom Korean Cuisine opened their first location in Coquitlam a couple years ago, the image of their signature hot plate was all over Instagram. 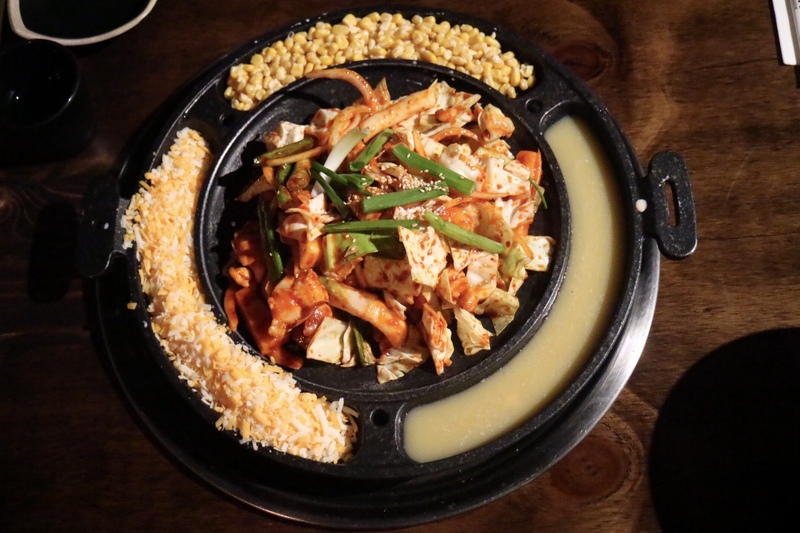 Although very popular in Korea, the design of the hot plate is fairly new to the locals. It has a large circular centre for grilling meats like spicy chicken, beef bulgogi or baby octopus, and 3 slots on the outer ring for the 3 condiments: cheese, corn kernels, and scrambled eggs, all having the colour of gold! Besides the stunning visuals, the taste of the dish has received praises as well. As I hardly go out there to Coquitlam, I was glad that I finally had a chance for the hot plate experience when they opened their second location on Robson Street in downtown Vancouver. And I was in the great company of Vancouver Foodster. The location is said to be much bigger than their original shop. It did feel very spacious, filled with fun energy and loud pop music. I would much prefer them playing K-pop instead though. 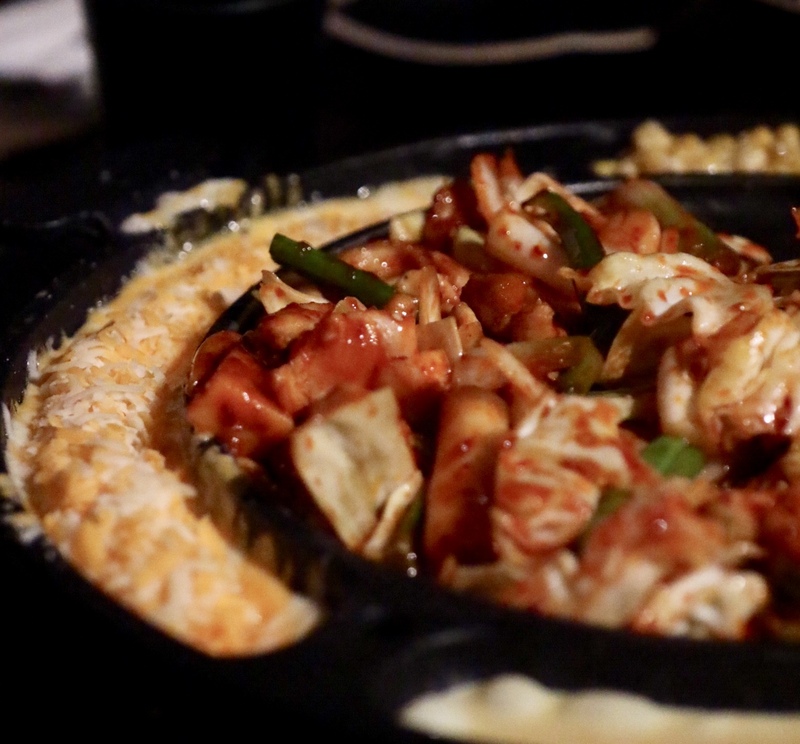 This place is one of the most popular Korean spots now on Robson. The line gets a little horrendous if you come after 6 pm on the weekends, especially when the winter has arrived. We came here around 5:30 pm on Sunday and got a table right the way, but it was amazing how many people came quickly after we did. 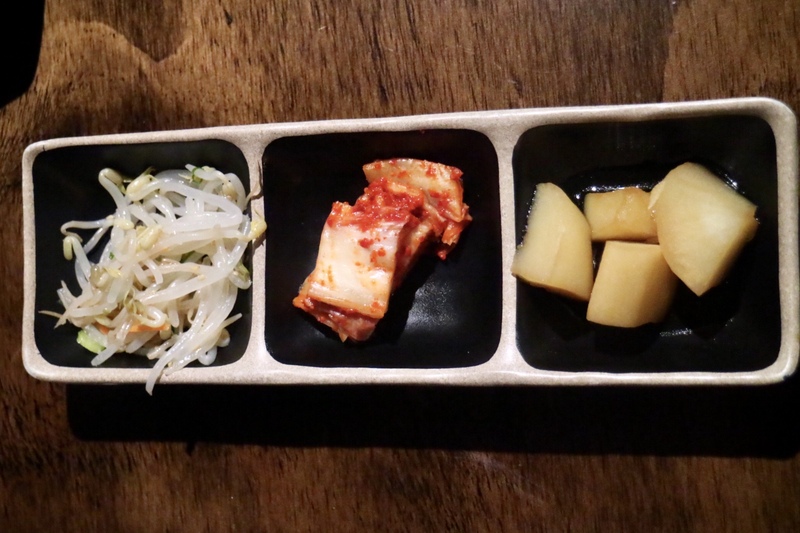 The little banchan dishes came first looking very fresh. They were quite tasty too. 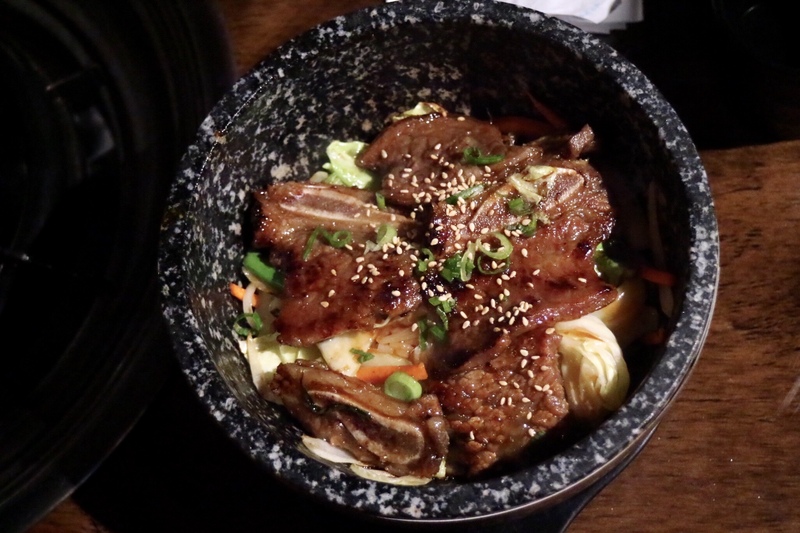 The Galbi Deopbap ($15), aka the Beef Short Rib Rice Stone Bowl, could be a meal on its own. The ribs were perfectly cooked and kept warm in the super hot stone bowl. I would recommend to let it sit for at least 5 minutes after it arrives so that you can get that amazing extra flavor from the layer of slightly burnt rice at the bottom. The main feature was truly impressive. We did take a moment to admire the golden glory of the Hot Plate with Spicy Chicken that already came with corn kernels and eggs. The cheese was $5. Our server, while serving several tables, came back from time to time and make sure it was properly cooked and ready for eating. The combination of the cheese, the corns, and the eggs, sounding like an omelet bar altogether, makes a fantastic complement to the chicken. I would love to come back here to try with the option of beef bulgogi or spicy octopus. Fried chicken is always a must-have at any modern Korean restaurants these days. Their version here is the Special Tabom Chicken ($14). 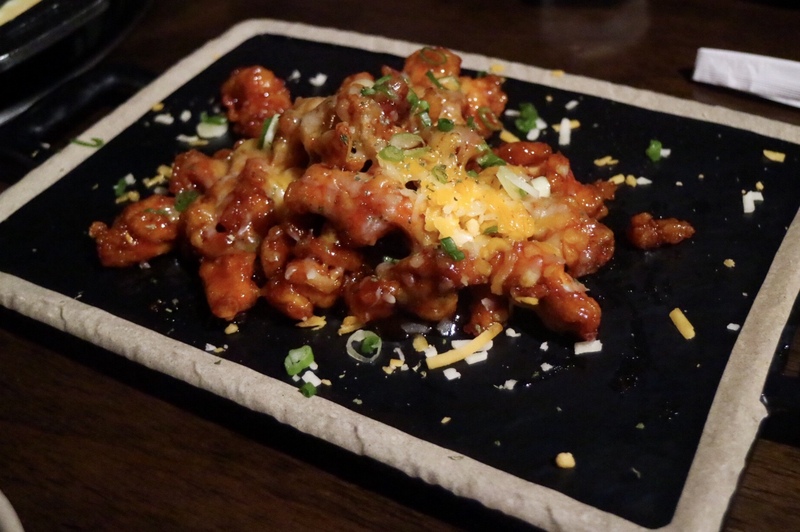 It was delicious – the melted cheddar cheese, the tasty sweet and spicy sauce, and the aroma of green onion. The dish reminded me of nachos but the tender and juicy chicken with crispy skin is much more enjoyable than just torilla chips. This is the “IT” Korean spot on Robson now. It ain’t easy feat for the newbie that is surrounded by 20 other Korean restaurants. 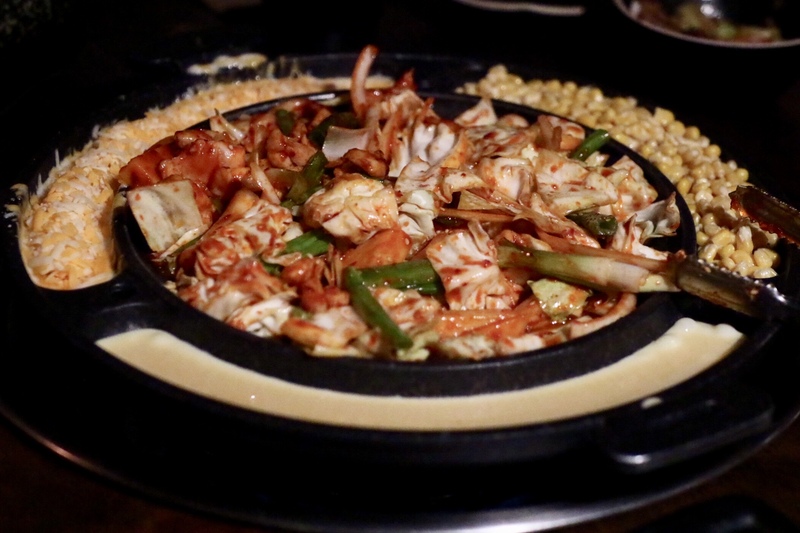 The signature circular hot plate is fun, unique, and inexpensive, a must try if you like Korean BBQ classics like beef bulgogi or spicy chicken. 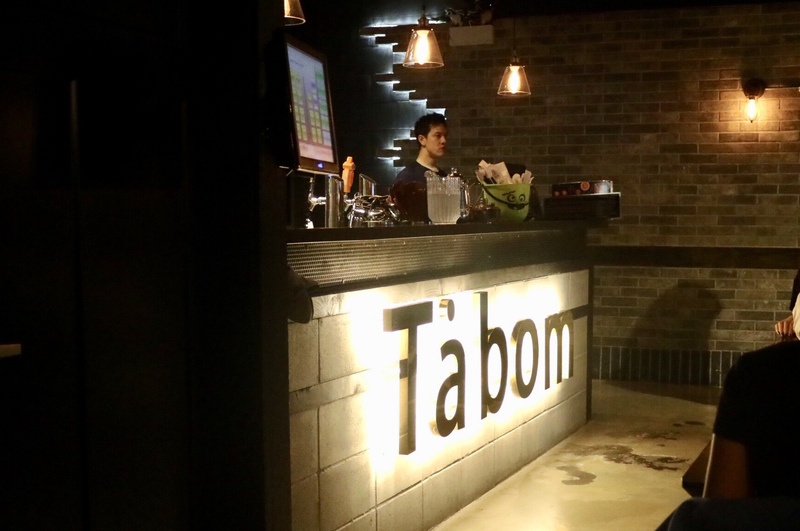 Their version of Korean fried chicken, the Special Tabom Chicken is THE BOMB that you must not miss. Go early if you want to avoid the line. We got here and got a table right away at 5:30 pm but a huge line-up formed quickly after that. Be prepared for the noise level from the loud music and the younger crowd.